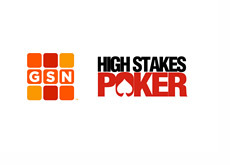 It's the end of an era - according to Buzzerblog (link below), "High Stakes Poker" will be officially yanked from GSN as of January 2nd, 2012. "High Stakes Poker" made its debut on January 16th, 2006. The show, which was originally hosted by Gabe Kaplan and AJ Benza, was an instant hit thanks to the presence of players such as Phil Hellmuth, Daniel Negreanu and Barry Greenstein. "High Stakes Poker" also had its share of turmoil over its seven season run. The show went on a long hiatus after its fourth season, and there was real doubt that it would ever return. The show finally did return for a fifth season after roughly 18 months. AJ Benza was not brought back after Season 5, angering many fans who enjoyed the back-and-forth between Benza and Kaplan. Kaplan would only last another season himself, as he was eventually replaced by Norm Macdonald. Interest in the show would plummet thanks to Kaplan's absence and a Full Tilt Poker boycott. The final nail in the coffin of "High Stakes Poker"? "Black Friday". Any chance that "High Stakes Poker" would be brought back for an eighth season was snuffed out on April 15th, 2011. 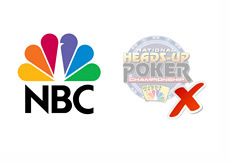 There is always a chance that GSN brings back "High Stakes Poker" if online poker is legalized and regulated in the United States, but for now, the show has officially been shelved.